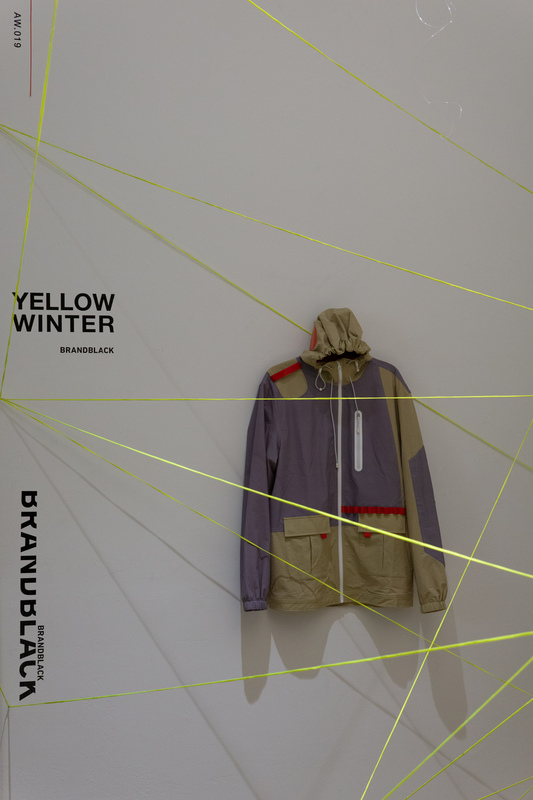 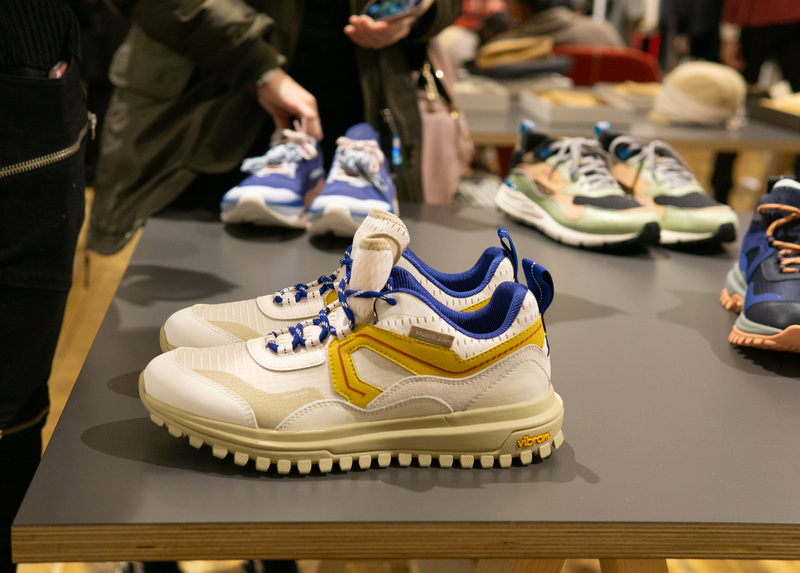 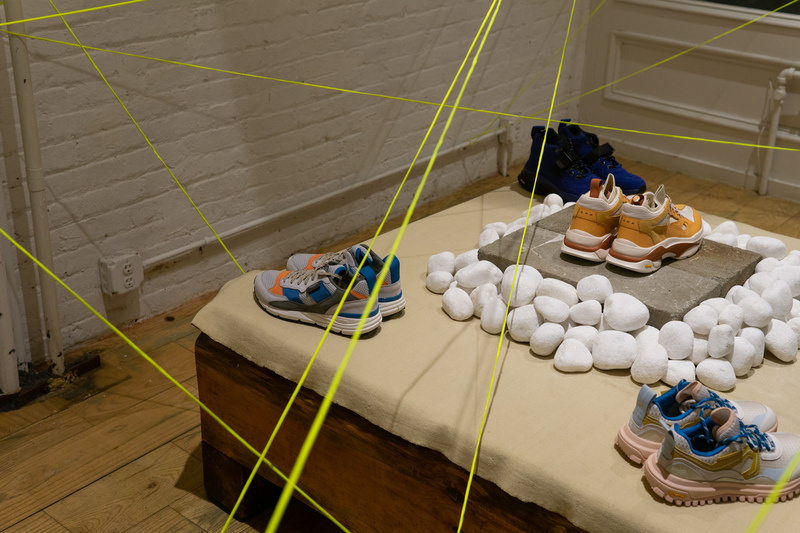 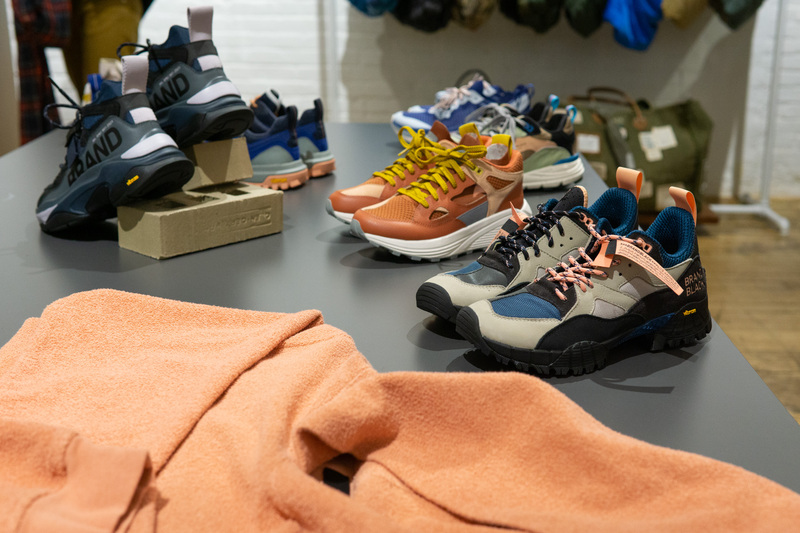 Brandblack brightened up frigid Tribeca by unveiling its YELLOW WINTER collection for AW19 at Williamson Showroom. 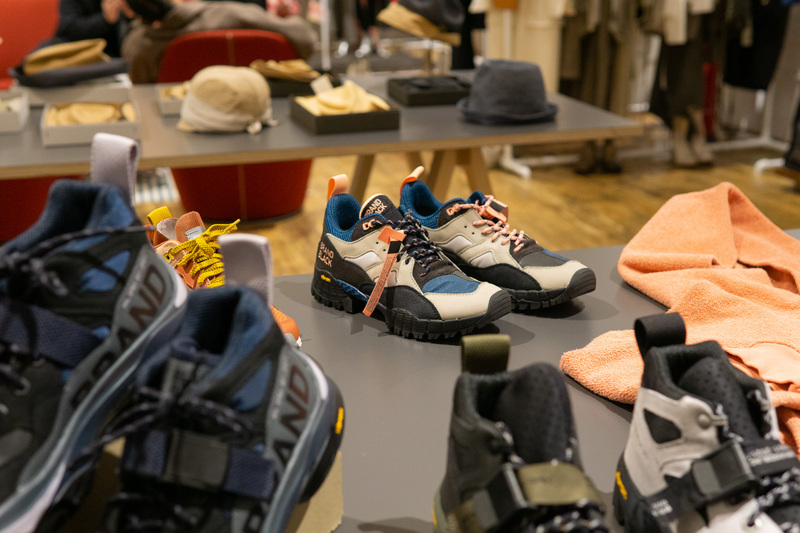 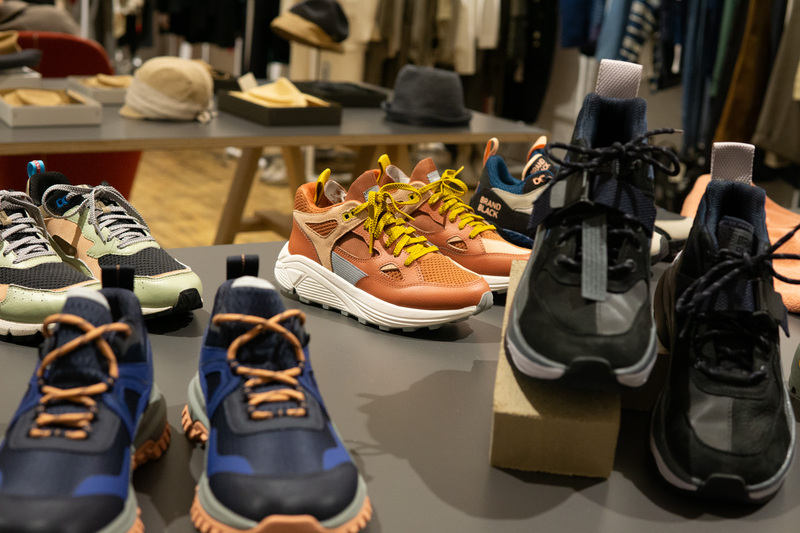 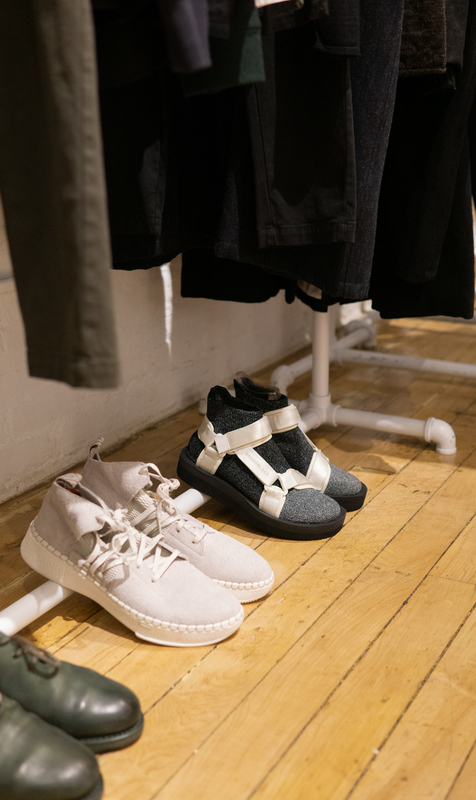 The modern Los Angeles-based footwear and apparel brand — fresh off a collaborative project with world-renowned Maison Kitsuné — has been traveling the world; from Hong Kong to Paris to New York, the tight-knit team has been getting its unique product in some of the industry’s most prized retailers. 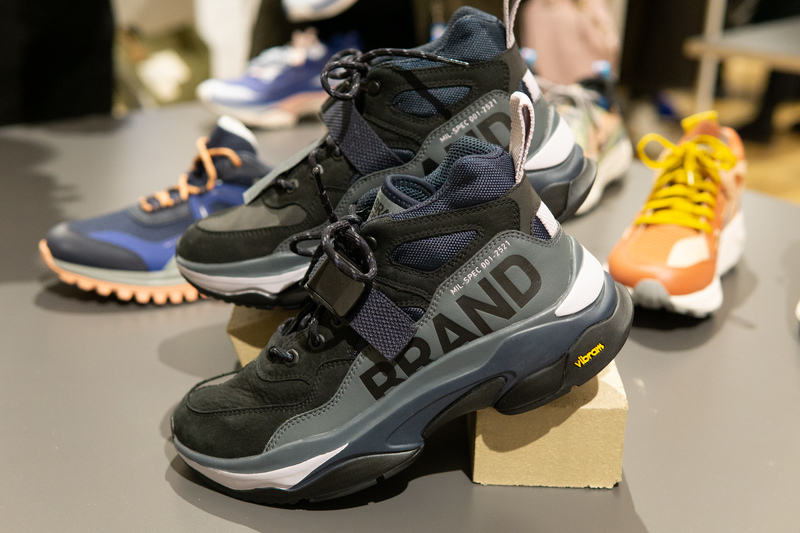 Now completely independent of Skechers, Brandblack is helmed by David Raysse (creator of the historic Fila Grant Hill 2 [also known as The Hill 2 or the GH2]) and partners Billy Dill and Geoff Nishimoto. 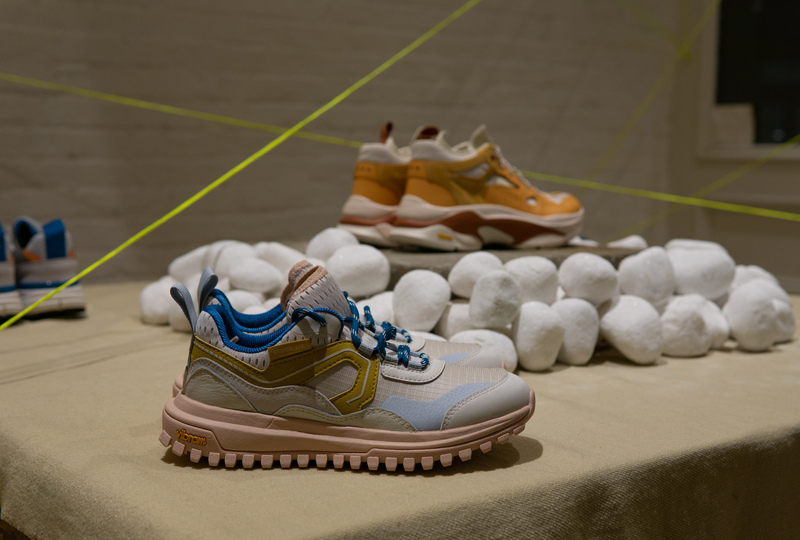 The brand’s latest YELLOW WINTER AW19 collection showcases a bold and colorful palette that is supremely unisex with striking blue, orange, and pink hues. 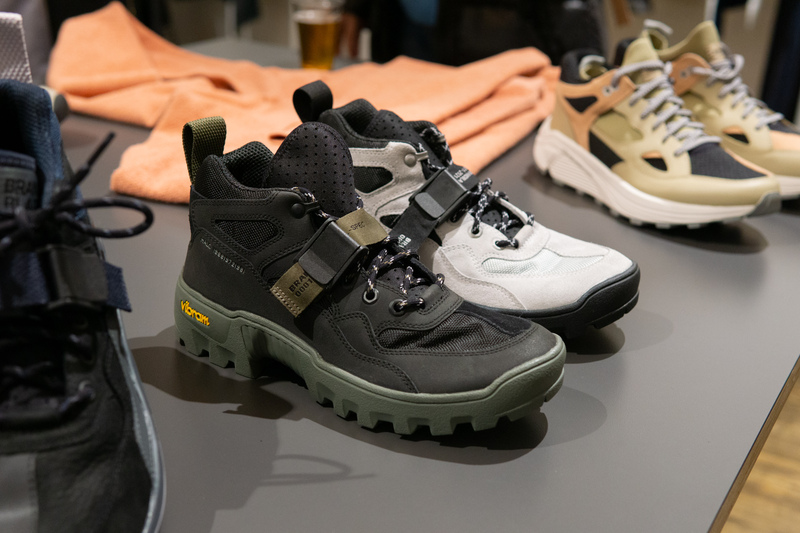 Now, the outdoor themes appear to have hit their stride in YELLOW WINTER with styles like the Saga Mil-Spec boot, low-cut Chopper, and the trail-ready Cresta. 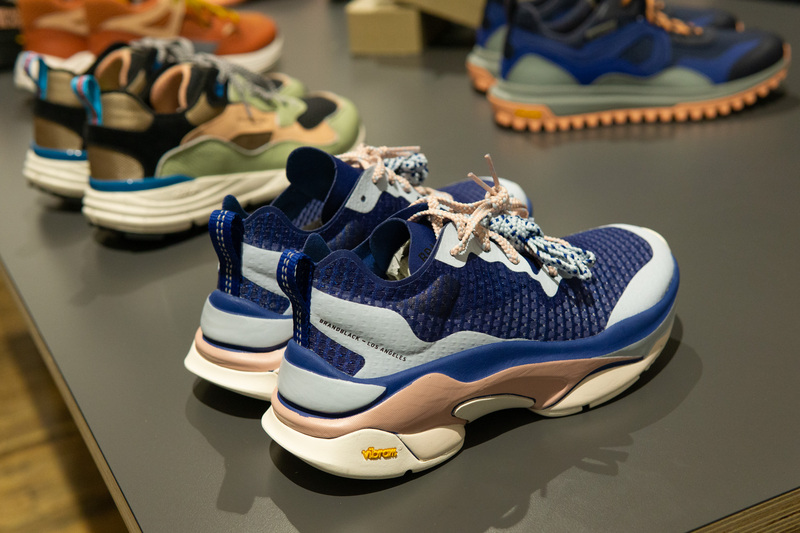 Meanwhile, the Nomo is a premium sneaker for everyday wear while the Kite Racer sports a translucent Ripstop upper and rides atop a custom maximal Vibram outsole. 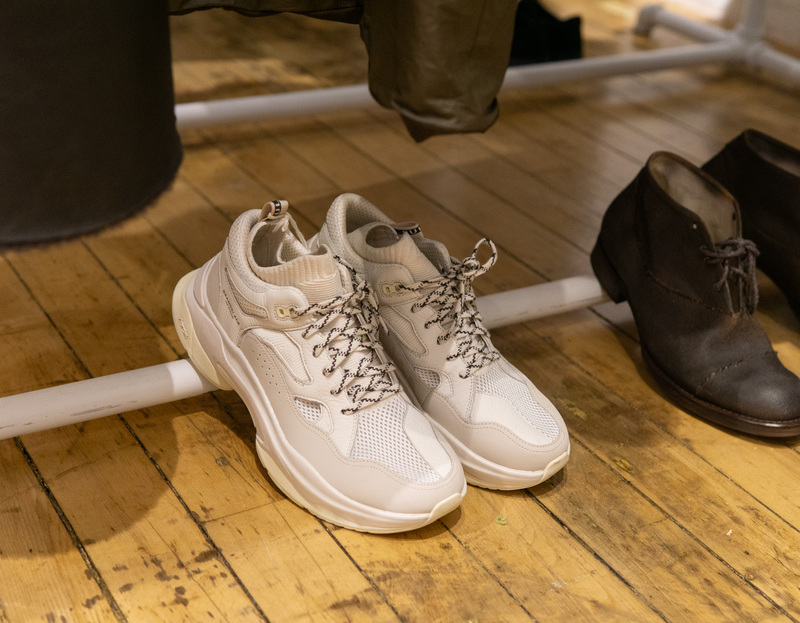 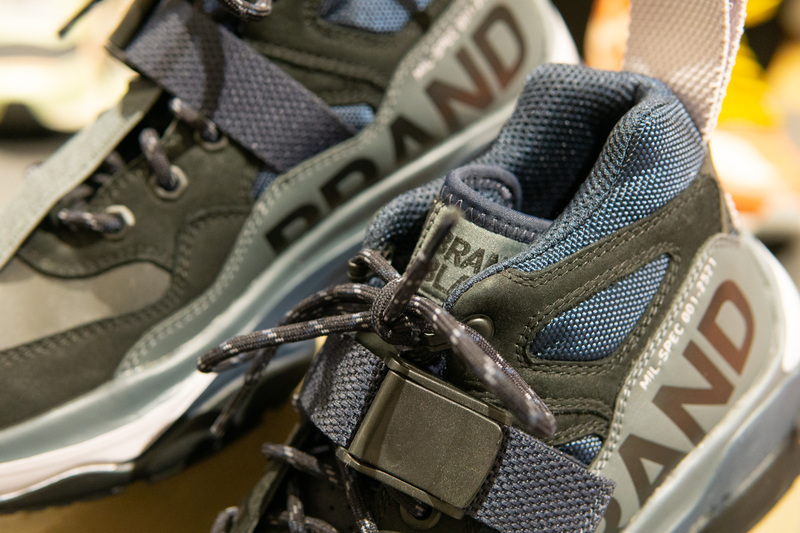 Brandblack’s latest products are hitting stores like END Clothing, Barneys New York, Maison Kitsuné, and Browns. 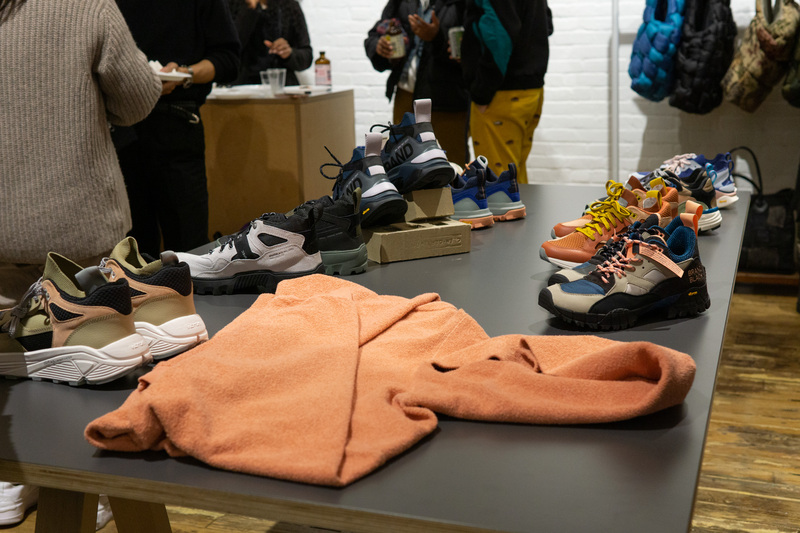 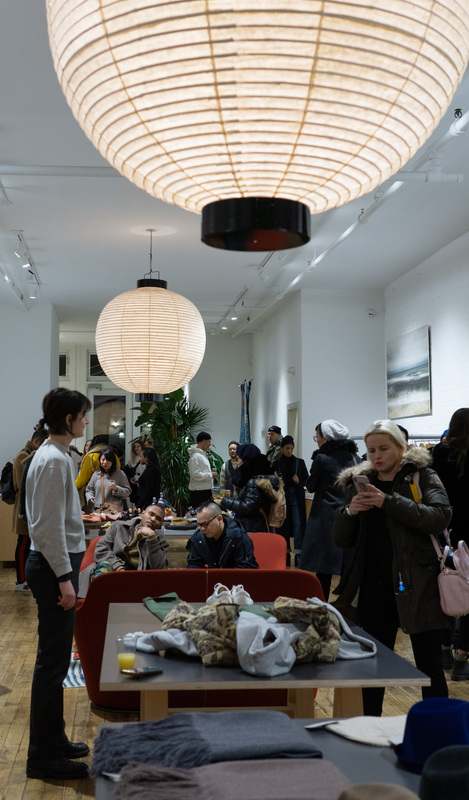 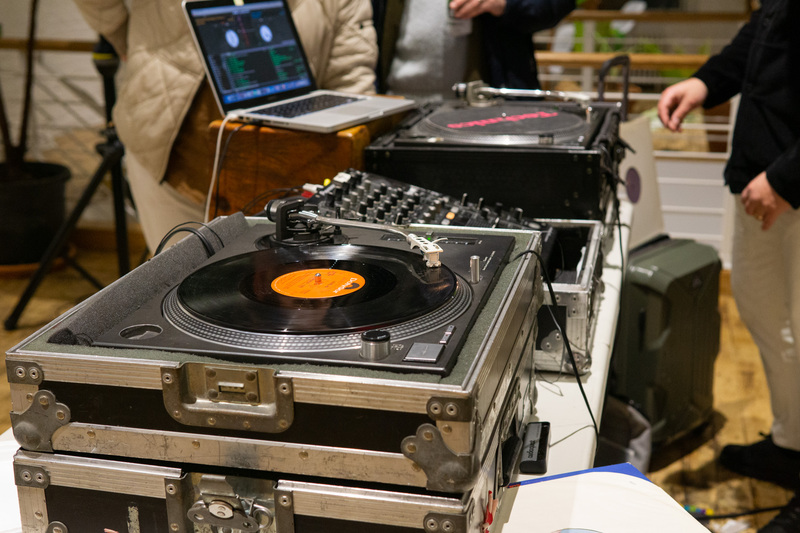 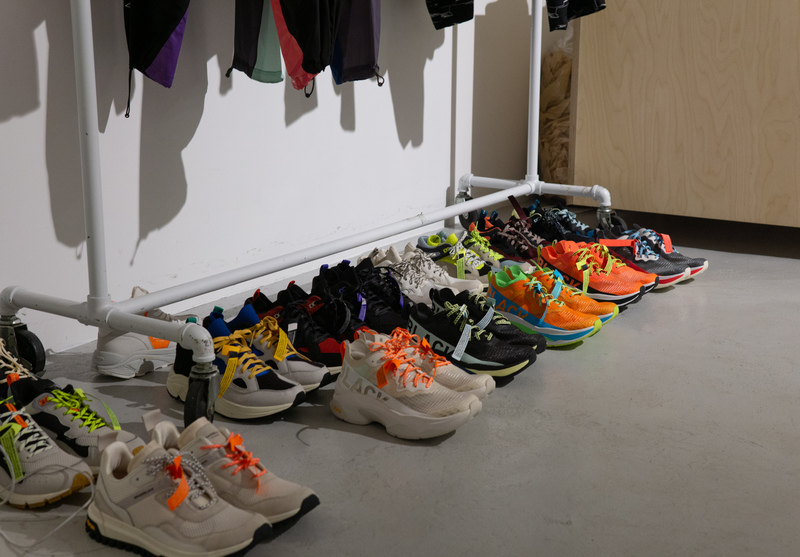 You can check out a photo recap of the YELLOW WINTER AW19 showcase at 180 The Store below. 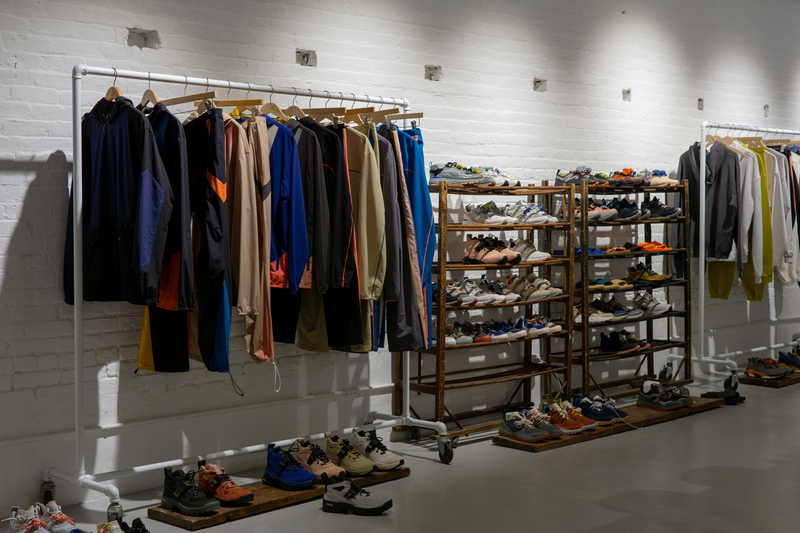 Photography by Noah Goldowitz, exclusively for Hardwood & Hollywood.